It’s easy to think that cracking a bold vision for an organisation or brand will lead to success. We’ve frequently experienced the euphoria among a leadership team that follows the agreement of such things – often at the end of an awayday following months of deliberations. The problem is that a vision, as the word suggests, is only a concept for the future. The hard part is turning it into reality. This can be overlooked and is often more challenging than agreeing the vision. For the last ten years, Squad has worked with clients to turn boardroom strategy into frontline creativity. 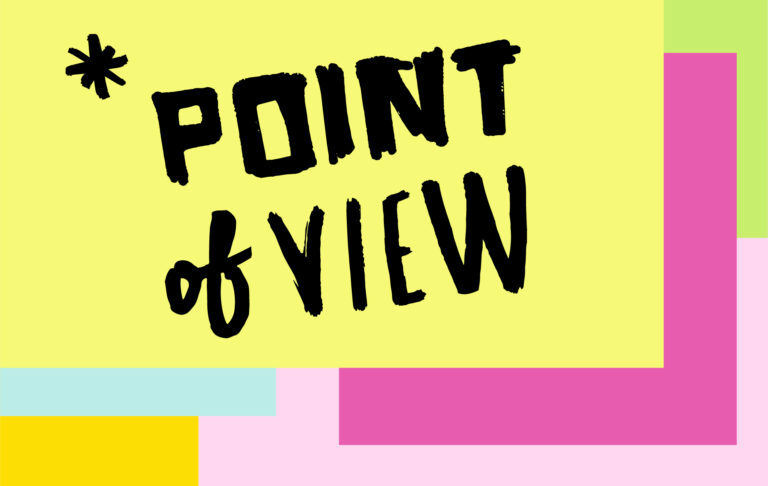 This, our fourth POV piece, seeks to distil some of our learnings. The history of Starbucks illustrates the importance of both vision and execution. Starbucks has achieved global success, but the company’s history can be traced back to 1983 when Howard Schultz visited an espresso bar in Milan. At that time in America most people drank cheap, poor-quality coffee. In Italy, Schultz observed the high prices being charged for a top-quality product. He noticed the rapid turnover of customers. He observed the experience and ambience of the bars. But most of all, he noted that this was not a niche but a mass market. He returned home with a vision to recreate the Italian espresso bar experience in America. In Good Strategy/Bad Strategy, Richard Rumelt explains how Schultz’s first coffee shop was a direct copy of what he’d seen in Milan. It had a stand-up bar. The shots of espresso were served in small porcelain cups. There were waiters in bow ties and opera music played in the background. It was even called Il Giornale. Once the business was trading, Schultz started to observe the behaviour of his customers. Based on these insights he made changes. Italian was taken off the menu, opera music was dropped, uniforms became more informal and seating areas were introduced. The product too evolved. Takeaway cups were introduced and non-fat milk was offered. And the name was changed to Starbucks. The vision – to bring a high-quality coffee shop experience to America – remained the same, but the execution evolved. One of the challenges for many organisations is that they’re significantly larger than Starbucks was at that time. Therefore, the leaders are not the ones making the implementation decisions. Vision and execution are separated, often by multiple layers of management. The truth is you need alignment of the two. A vision is important so that the whole organisation is moving in the same direction. But incorporating feedback from the frontline, from the people getting first-hand customer responses, is also vital. Giving them the freedom to make the right implementation decisions, while ensuring they do so in a manner consistent with the vision, is the key to success. Faced with such challenges, it’s easy for organisations to lose faith in the role of a vision. Sometimes this can lead to organisations neglecting its importance and focusing just on execution. Yet a vision is crucial. Jim Collins, in his study of companies, Good to Great, observed: “That extra dimension [of great companies] is a guiding philosophy or a ‘core ideology’.” The answer is not to neglect vision, but to adopt a process that connects vision with execution. 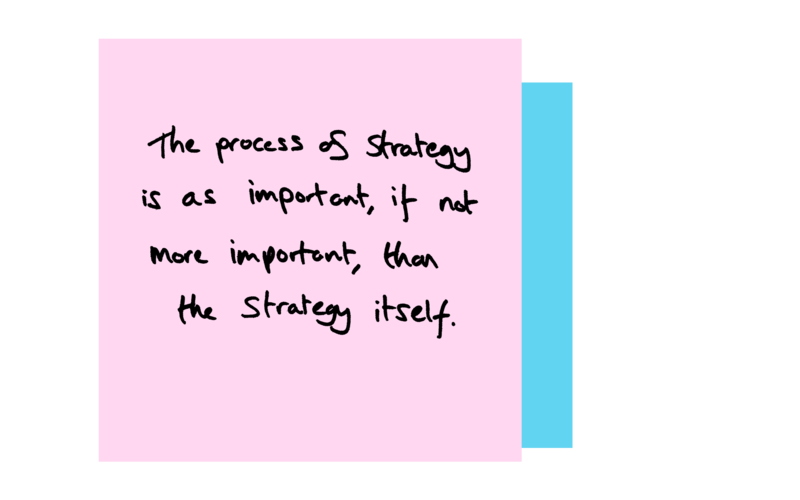 The process of strategy is as important, if not more important, than the strategy itself. In our experience, there are three crucial principles for turning strategy into action. The key to understanding Guardiola’s success is recognising what he does give to his players. He came through the Barcelona academy before breaking into the first team. Through every level of Barcelona football club runs a strong philosophy with regard to how the game should be played. Their teams are encouraged to play out from the back and press hard when not in possession. Players are taught to find space, make unpredictable runs and improvise. It is this philosophy that he has instilled in his Manchester City team. Setting strategy is inherently about making choices between available options. It’s the art of sacrifice. But this does not necessitate being prescriptive about how a direction is pursued. Guardiola gives his players enough of a framework to ensure he has compatible players playing in a coherent way, but he gives them sufficient space to make the right decisions on the pitch. Turning strategy into action starts with the behaviour of the leadership team. The strategic process often involves multiple stakeholders, each with different views and priorities. But strategy is about sacrifice. A collective way forward needs to be found, which often involves compromises. Yet too often people aren’t committed to these compromises. They agree to something in the boardroom, but tweak the implementation to suit themselves. Or worse, they push for a form of words that gives them wriggle room, but with the result that the strategy doesn’t provide others in the organisation with sufficient clarity. As David Maister says in Strategy and the Fat Smoker: “For an organisation, strategy cannot be what ‘most of us, most of the time’ do. If a number of top people have plainly not signed up for the journey or are clearly not true believers, no number of systems or amount of inspired speechmaking will transport the organisation there.” It is essential that all members of the leadership team commit to getting on the bus. 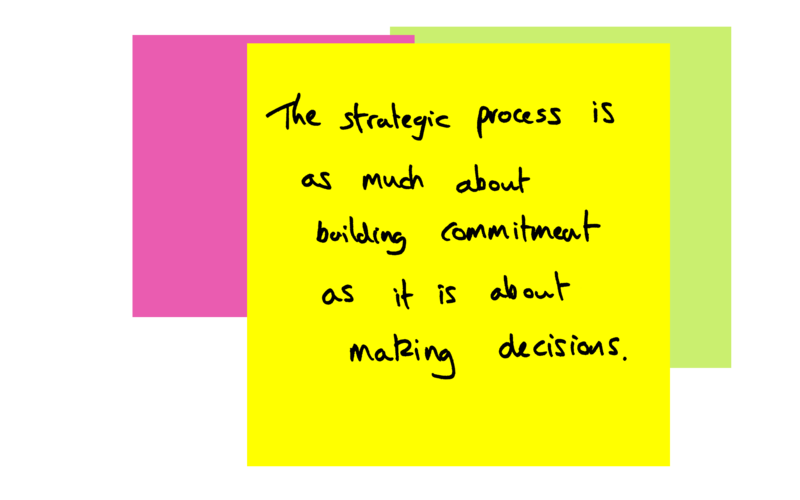 The strategic process is as much about building this commitment as it is about making decisions. Consultation processes can be mistaken for navel-gazing. And awaydays can be dismissed as jollies. But, done well, these parts of the process are essential tools for building consensus. People will have to make tough choices and sacrifices – if they don’t, then the strategy is likely to be insufficiently clear or focused. Moving people to a place where they are ready to make these choices is crucial, which means people must feel like they have been heard and listened to. Most will be ready to accept not getting their own way, provided that their opinion has been considered. Ultimately, if the process reaches a point where people can’t agree, then it may be necessary for some to get off the bus. Once there’s commitment among the leadership team, this then needs to be communicated in a way that drives action throughout the rest of the organisation. It’s important here to keep the communication clear and understandable. It sounds obvious, but the nature of the strategic process means it’s easily forgotten. Excessive jargon is a common pitfall. Another problem is the use of models or frameworks that may have formed part of the strategic development process, but which are not easily understood by the wider organisation. The communication of a strategy is no different to any other form of communication where an audience needs to be mobilised. As Antoine de Saint-Exupéry once wrote: “If you want to build a ship, don’t drum up people to collect wood and don’t assign them tasks and work, but rather teach them to long for the endless immensity of the sea.” Using language that inspires and motivates action is important. Another crucial component is consistency and repetition. Media companies talk about reach and frequency when planning advertising campaigns. There is an accepted wisdom that audiences need to be exposed to a message a certain number of times. Similarly, studies of habits have found that on average it takes two months for a new behaviour to become automatic.3 We’ve often witnessed CEOs in turnaround contexts repeating their strategy endlessly in every meeting. People may get bored by it, but at least they know what they should be doing. The problem with many strategy processes is that they stop just when they should be starting. Once the desired transformation has been agreed and communicated, people view the process as complete. There’s a tendency to mentally tick the box and then return to the day job. 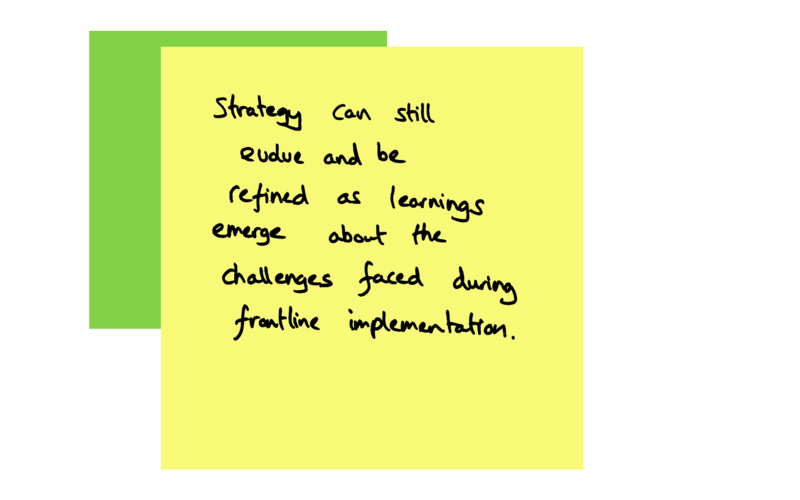 But the strategy can still evolve and be refined as learnings emerge about the challenges faced during frontline implementation. In fact, this is crucial to success. Kaizen is a continuous-improvement philosophy that emerged from Japanese businesses after the second world war. It was popularised most notably as part of The Toyota Way. A similar example is the marginal gains approach used with great success by Team Sky. The principle is that if you aggregate a large number of very small improvements, they add up to a winning advantage. This led Team Sky to making changes such as replacing mattresses in the riders’ hotels so they could sleep in the same position every night. They once considered shaving 10mm from a rider’s collarbone to make him more aerodynamic, although it was overruled by the team doctor.4 A similar philosophy has been adopted by tech businesses. Popularised in The Lean Startup by Eric Ries, this approach is about testing a vision continuously and then adapting and adjusting it along the way. All of these examples illustrate the importance of refinement. The learnings that come out of the implementation process are crucial. Feedback loops must be incorporated. The team setting the direction must be plugged into the team implementing it and both must be open to modifications along the way. An important part of this is having an accurate interpretation of reality. There’s an old story we often tell about a famous toiletries brand. They commissioned a new agency to create a television advertising campaign. To test it, they ran it in one half of the country first. The results were disappointing. They sacked the agency and started work on another campaign. In the meantime, they decided to run a coupon campaign to maintain some brand presence in the market. This time they ran it nationally. In the half of the country that the advertising had run, the coupon campaign performed significantly better. What transpired was that the original advertising had created a lot of interest, but people needed a little incentive to trial the product. This is why feedback loops are so important. A doctor can only prescribe the correct treatment if they have first diagnosed the right ailment. The original strategic direction will be based on a diagnosis. But the reaction that comes back helps to build a clearer picture, which may suggest a change in the diagnosis and a shift in the direction. The question of how to connect boardroom strategy with frontline creativity goes to the heart of why Squad exists. The structure and culture of our business is built entirely around helping clients to connect these two worlds. It’s why we describe ourselves as a business consultancy meets creative agency. 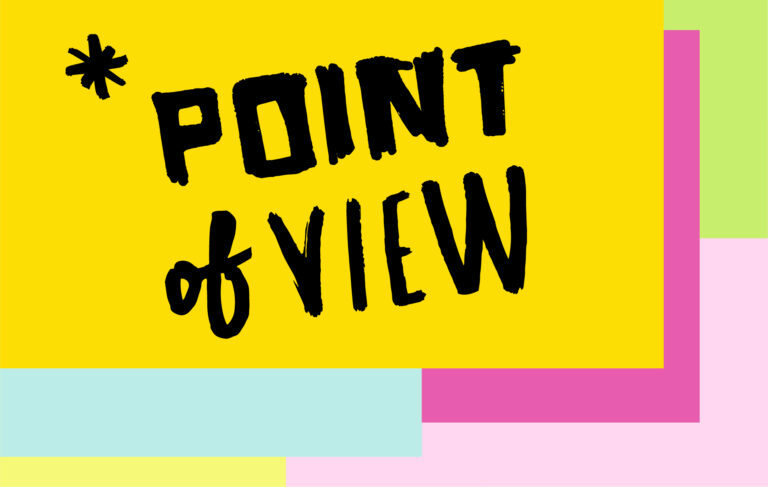 We felt it would be an appropriate complement to this POV piece to lift the lid on the unique culture within our business that allows us to connect strategy and creativity. This is why we’ve published five stories that define our philosophy as a business. Hopefully, they demonstrate what inspires and motivates us, and paint a picture of how we work in partnership with leaders to help them solve their most significant questions by plugging the boardroom into the frontline. Great brands used to be built with blockbuster campaigns. The next generation of global brands are being built entirely differently. Their language is not reach and frequency but customer experience and new ways of thinking such as growth hacking. Understanding not just what they do, but how they do it, is central to unpicking their formula. To emulate them, marketing strategy must move from being the output of a department to an organisation-wide culture.